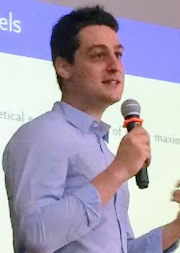 Avery Haviv, Assistant Professor, Marketing completed his PHD in Quantitative Marketing at the University of Toronto (Rotman School of Management). His research interest is in the development of methodology and the application of dynamic models to solve marketing problems. Haviv earned a Bachelor of Mathematics (Honors Statistics) from the University of Waterloo and a Master of Science (Honors Statistics) from the University of Toronto. He has also worked as a consultant in the market research industry. Does Purchase Without Search Explain Counter-Cyclic Pricing?